With all new technology, there is always something that makes work so much easier than you would expect. With Easy Backlog, you get an effective backlog management tool that turns work into a fun and interactive way for agencies or people who work in them. 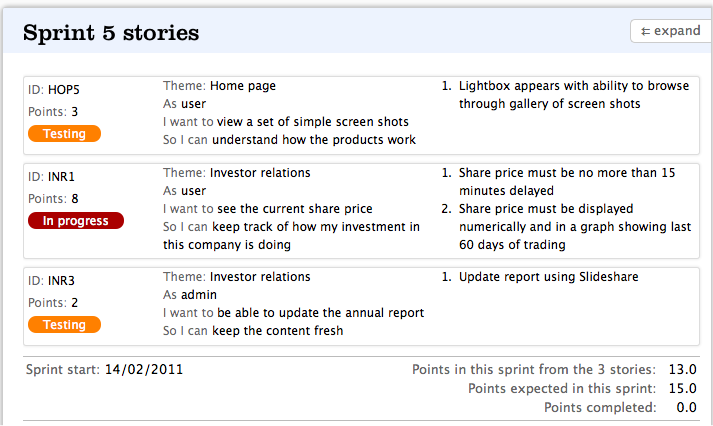 With Easy Backlog, stories are grouped into themes, which make it easier to look up when you have issues. Priorities are easy established by using a drag and drop system, making it easy for your co-workers to stay updated, since you can access your account from anywhere at any time. If you’re a person that likes to sort by colors, Easy Backlog provides color coding categorization. How is Easy Backlog so popular? Easy Backlog strives to be quicker and easier than Excel, making it easy to match or exceed the speed of any desktop application. If you are a project manager, you have to run through the backlogs frequently. So how do you stay on top of your game? Easy Backlog provides a history of outdated backlogs that you are able to see. Changes between versions can be highlighted and you can view, export and print any snapshots of backlogs in order to compare what is working within the agency and what isn’t. What is a scrum master without Story Cards? Developing unique and legible story cards can either be a blessing or just a pain if you have a lot to work on. You can easily print them out double sided and have a visible unique story code. This story code allows anyone to view them on their computer when they have access to Easy Backlog. Estimating costs can easily be printed and exported to Excel, while the costs are easily calculated with Easy Backlog. 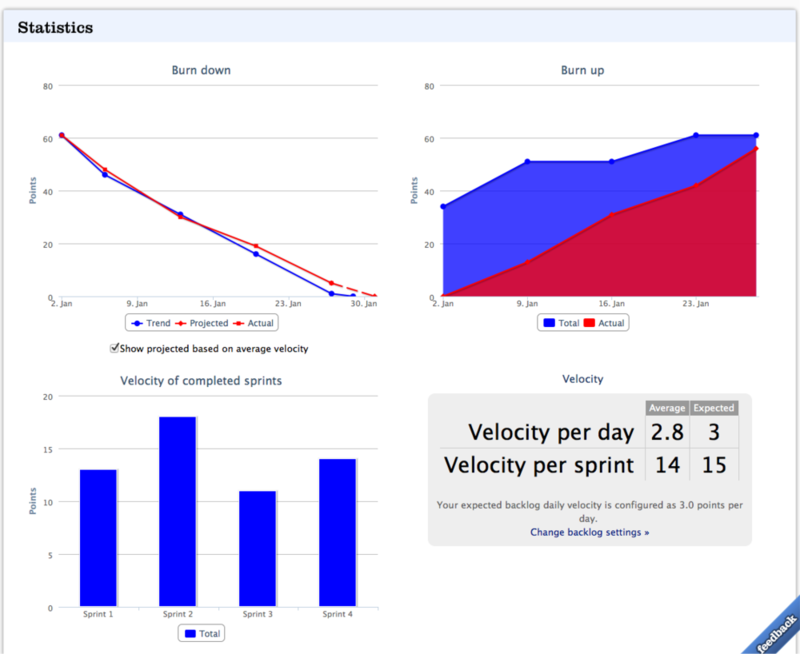 Costs are calculated by day rate, complexity and expected velocity. Even if you don’t have a project manager, you can easily perform these functions as well as in other positions. Having everything on a web application makes it easy for people to perform quickly and have everyone on the same page. Everyone will notice instant changes and nobody will have a reason to say why they didn’t see the changes. Unfortunately, Easy Backlog is currently on Beta. However, they do take your info and will let you know when you can use their service for free, so feel free to leave your email address along with your company name in order to stay posted on the progress of the website. Security is not an issue with Easy Backlog, since they already have SSL encryption. The Easy Backlog team is working to maintain the cloud servers for the amount of users taking advantage of this service. If you would like to check out screenshots as well as introduction videos to Easy Backlog, you can check out their website. As far as their blog goes, they have announced that their service has support for French, Portuguese and German. This will further expand horizons and will have people talking about this great service. Don’t let anybody else tell you what Easy Backlog is like and take a step forward in order to have things in order, whether you are missing workers or not. While payment information is not available yet, Easy Backlog will have a free plan for light users and will only charge companies for their usage as well as the number of employees in charge. They do not ask for any credit card information, so you have nothing to lose. Even if they do put a price on their plans one day, you will know that they have to post competitive prices in order to stay on top.